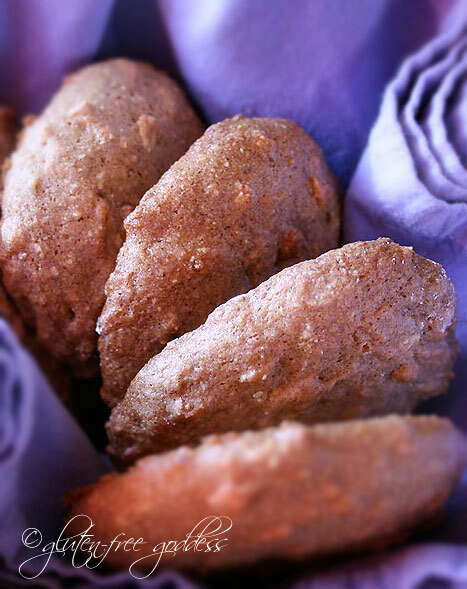 Gluten-free and vegan banana cookie recipe. Two firsts today. I made my first batch (ever!) of banana cookies (and the recipe just so happens to be gluten-free and dairy-free). And I took my first post-fracture outside walk today, bundled up against a chilly wind, walking stick in hand, patient husband at my side. I use the word patient for a reason. Because Babycakes, walking with me is painted turtle in the shade slow. Careful. Deliberate. No funny business. No waggling or showing off. It ain't necessarily pretty. It's biped (if you don't count the requisite walking stick as an appendage). And these days- in this house- vertical rocks our world. When we circled back to the casita the kitchen smelled like bananas and vanilla. I unwrapped my purple scarf, peeled off my mittens and turned the kettle on. It was time for tea and cookies. And I had worked up an appetite. As with any gluten-free recipe, the flour mix you use will influence the taste and texture of these crunchy-on-the-outside soft-in-the-middle cookies. I used a combo of several flours for the complex texture I prefer. I'll give possible substitutions for each flour, though because we all know no one uses the exact same gluten-free flour combo, right? Mix the bananas, oil, vanilla, rice milk and gluten-free oats in a bowl and set it aside for 10 to 15 minutes (to soften the oats). * If you are making these cookies pronto and not chilling the dough, I might add the cornmeal now, too, to soften. When the oats have softened in the banana mixture for ten to fifteen minutes, add the mixture into the dry mix and stir well, until a sticky cookie batter forms. Add in the nuts and the eggs/egg replacer; mix well. I used the egg replacer and it worked fine- as you can see in the photograph. *If you absolutely can't wait, Dear Heart, you can chill the dough as you preheat the oven, and/or powder your hands with confectioner's sugar to form the dough into balls- it takes a little finesse this way because it's quite sticky, but you can do it. I know you can. Form the dough into balls and place on a parchment lined baking sheet. Note* I do not press down on the dough balls because in my experience, gluten-free cookies can melt too much and flatten during baking. Place the baking sheet on the center rack of a preheated oven and bake for 15 to 20 minutes- depending upon the size of the dough balls- for instance, we made 24 balls which made a nice, hefty cookie; they took 20 minutes to bake. If you make 32 or 36 cookies, baking time will be shorter. But you knew that, right? Let the cookies cool briefly on the pan; then using a thin spatula, loosen and move them to a wire rack to cool. They will get crisper as they cool. Store in an air-tight container if they'll disappear quickly. But- better yet- wrap two cookies at a time with foil, and bag them in a freezer bag; freeze. The cookies will taste fresher this way (in my humble opinion). Hooray, you are walking, even if it's a bit slow for now. That's good news. And hooray for the cookies too; they do sound good. Thanks for the recipe too. It looks delish!! Sounds good! I just semi-successfully converted my banana bread recipe to GF/CF, but cookies sounds like a good change. Glad to hear you are getting more and more mobile! i love using over ripe bananas in baked goods. this look great! Yay for vertical!!! I'll bet you are appreciating many of the little things that are normally taken for granted. Banana cookies! I have been trying to find a good, correction, great gf recipe for ages, thanks! Excellent. I love banana bread and can't wait to try these! Ooh, I can't wait to try these! They look divine! Yummy recipe. Those look, at least, like they would be really tasty with powdered sugar on them. Good to hear you are able to get around a bit now. The cookies look wonderful. I can't wait to try! I just returned from a few days of skiing in Taos, so I know it's cold down your way. Stay warm on those walks of yours! These cookies look great and I now have overly ripe bananas waiting to be used, so this recipe of yours is on my agenda for tomorrow. Perfect timing. Nice to hear you're out and about again -- take care of yourself. Oh wow! Bless you heart! Having gone through so much you continue to do this amazing service of providing us with the yummiest recipes ever! Cheers to you! You had me at "Banana Cookies". A term I never heard before, but one I loved instantly!! Glad you are up and "out". Did the world look wonderful? Wow, Karina, I LOVE this blog! Thanks for directing me here. Hola Kalyn! Thanks for the hooray. Hi C & J's Mama- Nice to see you! And thanx. Hey Klay! Thanks- and I'm a cookie for breakfast girl, too. ;) I don't see why you couldn't sub the banana with pumpkin. Try 3/4 cup pumpkin puree to start with, then taste the batter. I might up the spices, too, for optimum pumpkin pleasure. Thanks Funwithyourfood, and Jess, and Michelle Dawn, La, Anke, Sally, Atxvgn, Glutenfreeforgood (skiing in Taos! ), and cheers to you, too Hope! Hi Laura! Great to see that you stopped by. Take care! Thanx- all- for your kindness. Thanks for the recipe! I tried it and liked it. I had a question: What's light olive oil? Is it lower fat, or does the "light" refer to a different taste? I've never made desserts with olive oil, and the aroma of the extra virgin olive oil I've got seemed quite strong for a cookie recipe. So, since I didn't have light olive oil, I substituted Spectrum Palm Oil Shortening. The cookies came out really, really chewy, which makes me think that the shortening mixture wasn't wet enough to soften the oats. So, next time I'll try olive oil. Thanks for the ideas! I use a light olive oil for baking as it's the one oil I know I'm NOT allergic to- and it works well in baking. It is not the extra virgin olive oil that is green; it's very clear and pale, with a very mild taste. Some bottles say "extra light" and "great for baking" on the label. The brand I use is Bertolli. I find it in the regular supermarket. 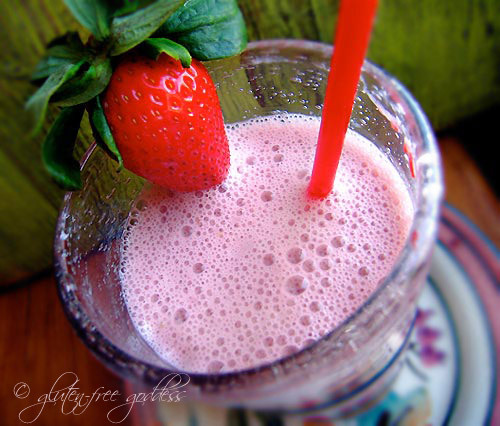 You could also try adding 1 or 2 tablespoons of rice milk to the oats, too. Did you let them sit and soak a bit? Freezing chewy cookies might make them more appealing; I do that with my oatmeal cookies, and eat them chilled. Yummy. Karina, I've enjoyed your blog since I realized I'm G-I about a year ago. I've been using Pamela's Baking & Pancake Mix during that time, due in part to your recommendation, & of course it works in everything, but I thought it gave me a tummy ache. Now I realize it's got buttermilk in it. I'm lactose-intol. & I thought you avoided dairy, too. Is there a good ready-made alternative wo/dairy? Thx. Yes, I used to love Pamela's Baking Mix. I've been writing this blog since 2005- and I've gone through a lot of changes in that time. In June 2007 I discovered I was allergic to all dairy proteins, soy, egg, nuts, coconut, legumes, chicken, some fruits and veggies, some spices. There are dozens of recipes on my blog that I can no longer do! I've gone back to making my own mix of flours out of necessity; too many pre-made blends contain an offending allergen (like brown rice or almond flour, or soy/garfava flour). That said- Whole Foods makes a basic GF flour mix that works well in most recipes; the only drawback is that the mix is highly refined (no real protein, lots of white starch). So I try to add buckwheat flour to my blends to boost protein. Bob's Red Mill and Gluten-Free Pantry both make blends you might be able to do. Most "pancake" style mixes (also known as quick mixes) do contain buttermilk powder. So watch for that. Sorry you had tummy trouble with the Pamela's. I can relate. Me too. Congrats on the walk outside- Best wishes and good health to you! yay! I'm so proud of you! And a celebration with banana cookies no less - sounds perfect! Muchas gracias, Sea and Michelle! Oh, hurray! Your first steps! One small step for a goddess, one large step for mankind, or something, well, not exactly the right metaphor but anyway, just trying to say the occasion is momentous and I am happy for you! Thanks for more yummy comfort food. My family really needs it right now. I really appreciate all your recipes that are GFCF-friendly, though I am sorry you have to give up so many tastes you love, but your creativity in cooking is helping all of us moms like me, not to mention our little ones. I still think you are the greatest. I am sorry I have not been around as much, but I have been thinking of you and glad you are healing. Hi Katherine! So nice to see you. Thanks so much for your kind comments. Every recipe since June 2007 has been GFCF. I find I don't miss the cream or cheeses as much as I thought I would. But I miss coconut milk (allergic to that, too). Hey Natalie! It's great to see you. Bananas are such great family-friendly food. What's up with no good bananas? Geesh. Wow. You're right -- the cookies are great when frozen! Yum. Thanks for the info about the olive oil. I thought it must be different from the regular stuff I had in the pantry! I'll pick up some of the light oil you recommended soon. I have a few questions: are all GF flours created equal? Is it just texture that guides your combinations? Is there a book/website you can recommend that would give me a guideline for when to use what GF flours, etc.? I'm inspired and happy to try new things, but it's better if there's a chance they'll turn out tasty! Chocolate disguises the stronger taste of certain flours. Pumpkin with cinnamon, ginger can help, too. Does Bob's Red Mill GF flour mix contain bean, pea or soy flour? All legume flours are very strong in taste- to me, they taste metallic. I don't care for them AT ALL (good thing I'm allergic to them, eh?). They're hard to digest as well. If your gentleman pal can handle dairy and almond meal, I'd use Pamela's Ultimate Baking Mix as a one-to-one sub in recipes. It rocks. 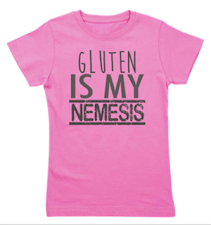 One problem: So many of us- 50% of celiacs- are allergic to dairy proteins and can't handle milk products (Pamela's contains buttermilk powder). There are other GF flour blends out there- and more every day. Some are very starchy. Others more balanced, texture and protein wise...I've used some with success, and others, not so much. It's a crap shoot. From perusing those articles, you can also follow my links to my main link page; look for Smart Links for GF People in the upper left side bar on the blog. Good luck with your new baking- if you love to cook and bake then you'll do fine! PS:: On each of my recipes, comments often include readers' discussions on flour and sugar subs, etc; what worked, what didn't. So you can also find some great info on individual posts. Thanks Karina, that's great... the only obstacle is being Canadian and having a little less variety in my grocery store. Pamela's ships through a variety of US websites but so far, none Canadian--and I refuse to pay duty! So I'm left with mixing different GF flours with wild abandon... thanks for your help! My husband just got back from a military TDY last night, and since hes been eating nothing but cafateria food for the last 3 weeks (oh his poor tummy), I decided to make these for breakfast as a treat! And oh lady, what a treat they were!! I used 3 bananas instead of 2, pecans (like you suggested), and I used sorghum flour instead of oats. I didn't chill them, and used a small ice cream scoop when portioning. They turned out just fantastic! No melting. And my husband has never been happier to be home :) MMMM, the house smells like allergen free heaven. Allergen free heaven sounds divine! What a great site, I have a 3 year old who is allergic to gluten, soy, dairy, nuts, and corn he also can't have tapioca in in large and no arrowroot! I live in Spain and only millet, buckwheat, quinoa flakes, brownrice flour (he can't have to much of this either) is available, he loves your banana cookies which I adapted as I came to the States and was able to bring some of the flours back with me, but now I have finished them and as they do not sell flour such as sorghum anywhere here I am stuck and would like some help pleaseeee, I have also substituted agave for sugar...which he can't have either! so help, I would love to make him bread as well in the bread machine. I think your site is just great and a true inspiration . Hi Mich- Thank you for your kind words. 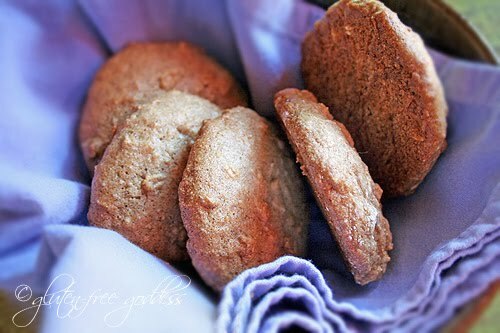 So- you'd like to make these banana cookies without sorghum... Then I would experiment by using more buckwheat flour. If you use buckwheat and millet as your flour base it should work- but they will be a little heavy. Can you lighten it with potato starch? No but I can use a little brown rice and tapioca what quantities would you suggest and how about quinoa flakes? Also, what are your suggestions for the bread? Mich- Well, as stated in the recipe you'll need 2 1/3 cups flour mix to go with the 1 cup oats. So maybe 1 cup buckwheat and 1 cup other flour (perhaps a blend of millet and brown rice?) with 1/3 cup tapioca starch to lighten it. Do you have a basic all-purpose blend for pancakes and baking you've come to like? If so- use that as your flour blend. The bananas in these cookies help a lot with the texture. A beauty of a recipe, new cookie recipes at our house are always popular. Do you have a good sub. for the oats?- as those are not tummy friendly at our house...Thanks for all you do. 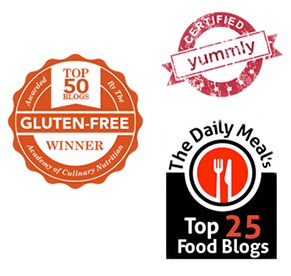 I have just found your website and feel like the heavens have opened and shined a light down on me as I have just found I am gluten, dairy, egg and other food sensitive and was wondering what the hell I could eat! Anyway, I have been researching your breadmaker recommendation but I can't get this particular machine in Europe - do you have any other recommendations? I made these cookies today. Replaced the oats flour with teff, and the brown sugar was "loose". Added some chocolate chips on top of the pecans. Even an after an hour in the coldest part of the fridge, the dough was not manageable by hand. I just dropped huge scoops of dough on the silicone mat. First time ever trying my "mat". The bottom of the cookies were burn-free! These cookies are what biting into a cloud would taste like! Light and fluffy! Loved your top ten list of 2010. Will be getting some champagnette (sparkly apple cider with just 2% alcohol - locally made)! Dedicated a part of my freezer to GF flour. The more I read your blog, the more grateful I get. Instead of cursing at the endless numbers of flours and starches I need to get to make baking work, I'm thankful for the endless baking possibilities. If only friends and family (non-GF) would be so versatile when it comes to cooking when I'm invited over ;-P.
Reading your blog and others makes the whole GF experience less lonely. It does feel nice to be understood - the dreaded potlocks, eating out, etc. Thank goodness for people like you! Ok, I made these today and they are really good but didn't turn out as I expected . . . . they were really sticky even after chilling in the fridge, but I just globbed spoonfuls onto my baking mats without too much trouble. The main thing I was surprised about it that they are really cakey - more like a muffin than a cookie - is that how they are supposed to be? Also, I made something like 40+, and they aren't that small. Some are actually quite big. Any thoughts of whether I did something different or is that how yours turned out, Karina? I followed the recipe, only deviating by using cow's milk and chicken eggs. Thanks for any advice you might have. They are still delicious, just not what I expected! Becky- I think the eggs and milk made all the difference. I developed this recipe as a vegan recipe. I haven't used eggs or dairy in a couple+ years. Sounds like the dough was stickier than my vegan dough. I'd try it with less eggs, maybe; and a tablespoon more flour? I honestly can't say for sure. You'd have to experiment with the eggs and milk changes- they add a whole different element to the dough- obviously making them more like cake batter. Thanks Karina, I've mostly had great success with your recipes even though I still use milk and eggs from animals. I appreciate your thoughts and will probably try to make them again with some modifications. I have a feeling if I stick to the basic outline, the flavor will continue to be great! These were fabulous! I got about 3 dozen good sized cookies from this recipe. They kept for about 3 days and I froze the rest. When they defrost, they taste awesome! I will definitely be making this recipe again. Thanks again for a fabulous recipe. Is there anything you could substitute for the oats for these cookies? Could I sucessfully substitute quick oats for the rolled oats? Would I have to add/ take away baking time? I stumbled upon your wonderful blog! I just made the cookies and now they are heading into the fridge and I am heading out for dinner. I can't wait to try them - Thank you for sharing! FYI, the link to this recipe from the cookie page (when clicking on "cookies" link on left-hand column of any page on your blog and then "banana cookies") is wrong; it brings me to "gluten free breakfast cookies."